Tom Albro, who has been with the Port of Seattle since 2010, said he wants to move on to serving the community in new ways, with particular focus on resolving political divides and dealing with economic inequality. 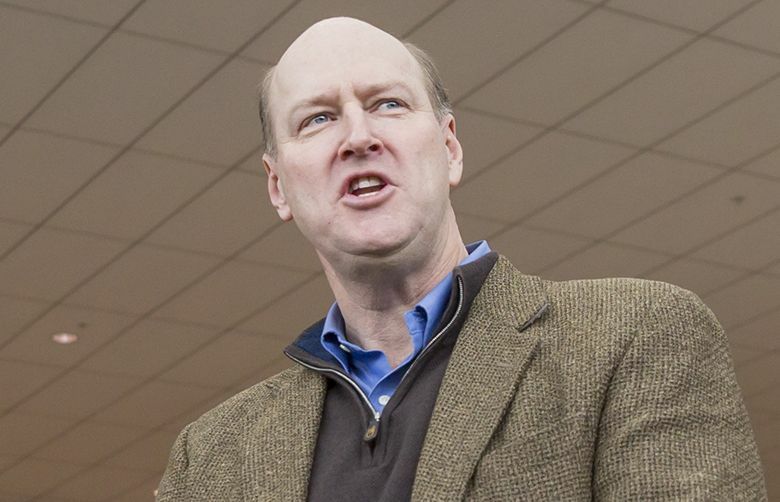 Port of Seattle Commission President Tom Albro said Sunday he does not intend to seek re-election this year. Albro, who has been with the Port since 2010, will leave when his term expires at the end of this year, he said in an interview. He said he wants to move on to serving the community in new ways, with particular focus on resolving political divides and dealing with economic inequality. “For me personally, I just think that I’ve contributed what I can as port commissioner over these eight years,” Albro said. Albro said he long anticipated he would only serve two terms at the port and that the departure has nothing to do with recent turmoil at the job. In the opening months of the year, Port CEO Ted Fick has resigned and a state audit questioned bonuses paid to port employees. Albro, meanwhile, recently recused himself from discussions of Seattle’s arena proposals because he owns a company that manages the Seattle Monorail. Albro said he decided a couple of months ago not to seek re-election and told his colleagues on the commission last month. He said he wanted to make the decision public now so there was time for qualified candidates to consider running for the position. He said he doesn’t have a particular candidate in mind he would support. During his tenure, the Port of Seattle joined with the Port of Tacoma to create the Northwest Seaport Alliance to more effectively compete in the changing shipping industry. That alliance was something Albro said he was particularly proud of. “That is something that will advantage the Northwest and our economy for many years to come,” Albro said. Albro said the port has more work to do to improve its relationships with other local governments, including the city of Seattle and jurisdictions around Seattle-Tacoma International Airport. He’d like to see the port do more in other parts of King County, too — for example, to invest in commercial kitchens in places like eastern King County that could support agricultural work. Those things could help foster job growth and help address the economic inequality in the region, Albro said.